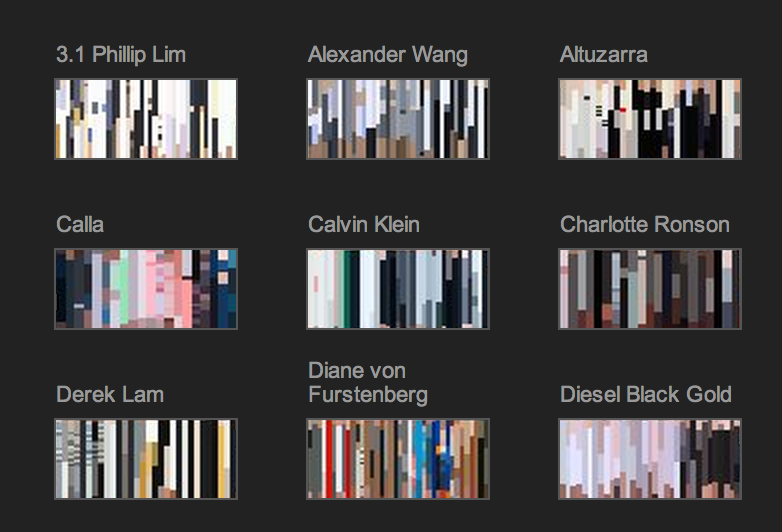 The New York Times has an interesting way of visualizing fashion that you can see in their article Front Row to Fashion Week – Interactive Feature. 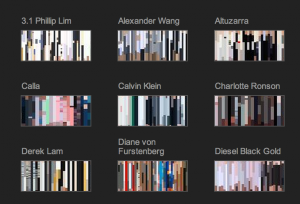 They have abstracted the colour hues to create small swatches of different designers who showed at the New York Fashion Week. These “sparklines” or sparkboxes are an interesting way to compare the shows by designers.